This newly-restored depot in Denmark has been providing rail service since it was built in the 1920s. Denmark began as a railroad town in the 1830s. Initially called Graham’s Turnout for Captain Z.G. Graham, who sold 17 acres for the establishment of a railroad in 1830, the tracks were part of the Charleston-to-Hamburg rail line of the South Carolina Canal and Rail Road Company. The infamous steam locomotive the Best Friend of Charleston traveled a section of that rail line prior to its tragic explosion in 1831. In 1837 Graham’s Turnout was officially chartered as Graham. 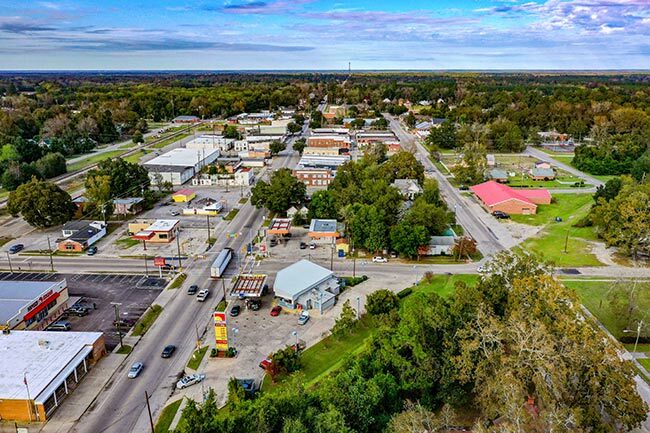 The name was changed to Denmark in the late 1800s when another rail line was established in the community by the South Bound Railroad, which intersected with the previous track. The name of the town was subsequently changed to honor Captain Isadore Denmark, an official with the South Bound Railroad. The South Bound Railroad merged with Seaboard Air Line Railroad in 1901. The tracks also served the Atlantic Coast Line and Southern railroads before becoming an Amtrak line in 1978. Denmark is one of many stops along the passenger train’s line from Miami to New York. 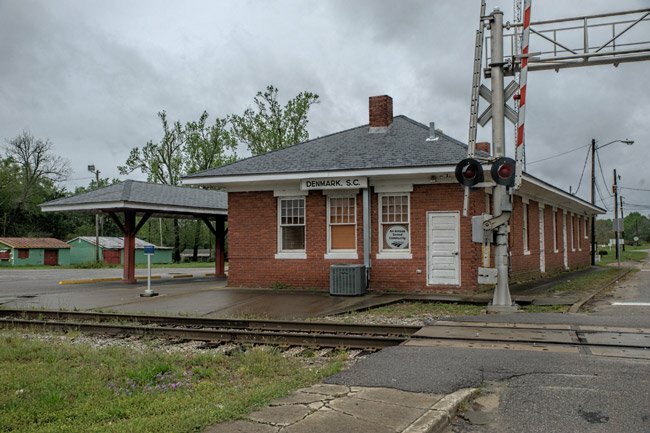 In 2004 Denmark received a $200,000 federal transportation enhancement grant for the depot’s beautification and repair. In conjunction with the grant, the private group Denmark Depot Restoration Society also raised funds to restore the building, which also serves as a museum of Denmark history. The Denmark Depot stands next to the Edisto Drive-In. The long time depot agent was my uncle Ira Hutson Marrieds to dads sister Era Fulmer Hutson from Springfield.